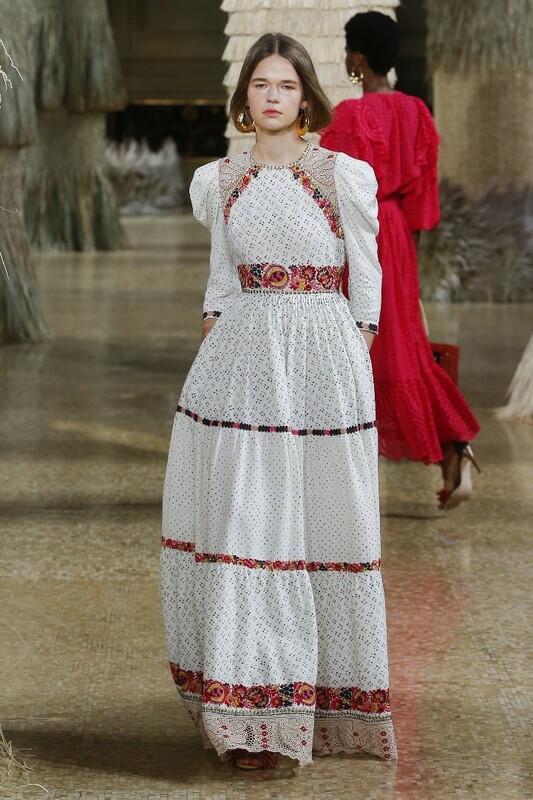 Designer Ulla Johnson listed two “Out of Africa” sources of inspiration for her Spring/Summer 2019 collection with its strong crafting elements: the quilters of Gee’s Bend, and the traditional dress of the Herero women of Namibia. Gee’s Bend is a fairly isolated community in the southern US state of Alabama, descendants of the slaves who worked on the original cotton plantation. In 1937 the federal government bought the land and Farm Security Administration (FSA) established Gee’s Bend Farms Inc. This was a cooperative project designed to give African Americans control of the land they were living on, and provide a livelihood. 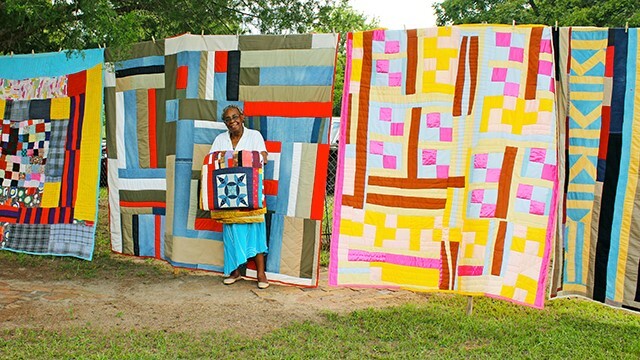 The community has a rich tradition of quilt-making stretching back for generations. Since the 1960’s the unique quilts produced here have gained significant national attention. 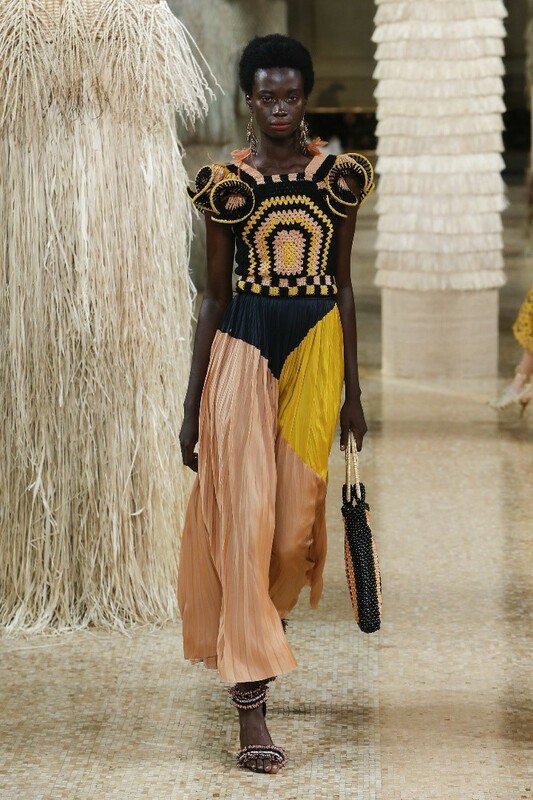 The vibrant African colours are reminiscent of modernist paintings, and have been heralded as brilliant pieces of modern art. Collections of quilts from Gee’s Bend have been exhibited at museums of art, to high acclaim. An individual quilt now sells for thousands of dollars, with all the women of Gee’s bend sharing in the proceeds. 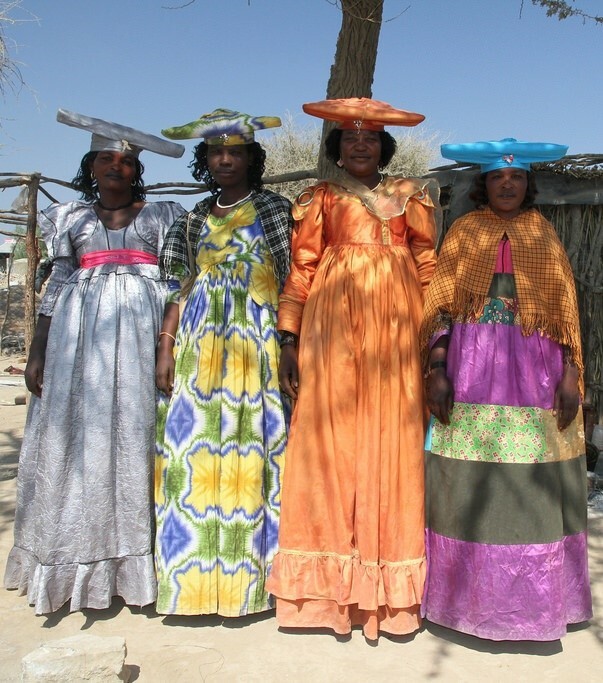 Patchwork, an element of quilt-making, is often employed by women of the Herero tribe in fashioning their distinctive dresses. The Victorian style of these garments is due to Rhenish Missionary influence. As often, the Army followed in the footsteps of the Church, and Germany colonized what became known as German South West Africa in 1884. Friction between the farming colonists and Herero herders led to the Herero Wars of 1904 – 1907. German General Lothar von Trotha ruthlessly aimed to annihilate the Herero nation, effecting the first genocide of the 20th century. 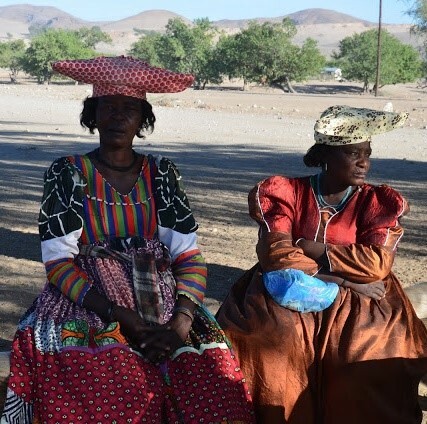 80% of the Herero population was wiped out, leaving only about 15 000 survivors. After German colonial rule ended with World War I, what anthropologists describe as a “subversion of their former rulers’ fashion” took place. Herero men started dressing in clothing resembling uniforms. In this way, the Herero kept alive the memory of the injustice done to them. Women likewise retained the style introduced by the missionaries: long, full-skirted dresses over multiple petticoats, frequently with sculptural sleeves. The important detail rendering the costume authentically Herero, was the addition of the otjikalva, a horizontal horned headdress. This pays homage to the cows that have historically sustained the Herero. 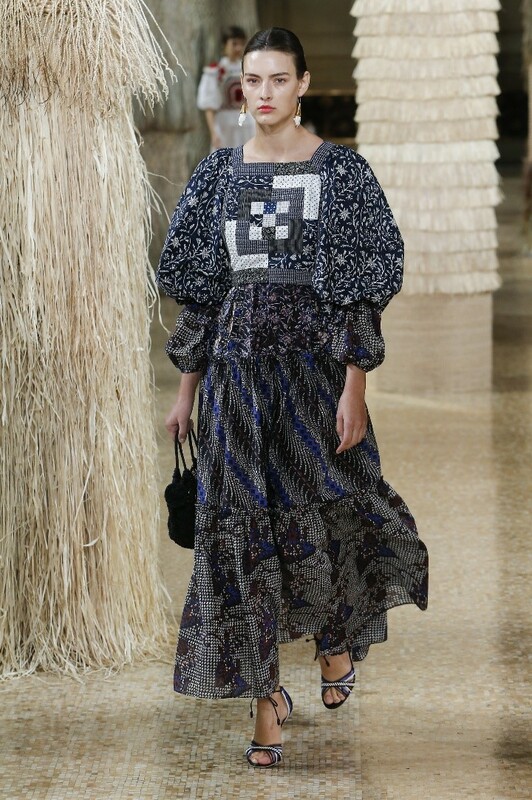 Ulla Johnson’s collection contains elements of patchwork and colour blocking, and also echoes the Victorian silhouette of full long full skirts and statement sleeves. The characteristic high waist of Herero costume also makes an appearance.